Our world changes dramatically with each tick of the clock. Technology is constantly evolving and opening up new opportunities we never thought were possible. Take a classic example—the telephone. Not too long ago, many of us were stuck at home waiting next to our landlines for a service consultant to get back to us between 1:00 – 4:00pm. Today, we can be out on the golf course knowing that our mobile phones are by our sides when an important call comes in. 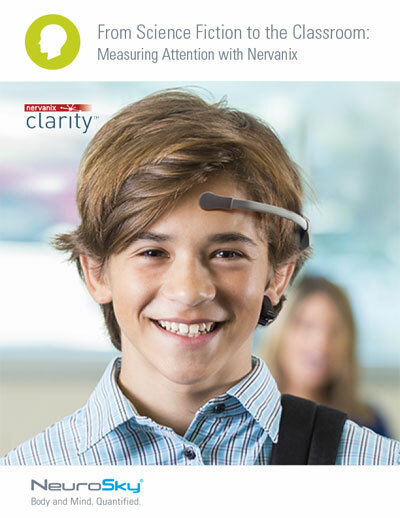 EEG technology is no different, and its rise in accessibility has been a rather recent phenomenon. How did such a complex technology become so portable and consumer friendly? What sacrifices were made to achieve its transformation? What key factors triggered its renaissance and why now? Let’s first take a step back and consider what and why medical EEG technology is in its current form today. Its purpose is to support the diagnosis (and possible treatment) of brain disease and cognitive disorders—a rigorous task that exacts a rather demanding toll for data collection and data quality. Capturing as much data from as many strategically placed electrodes as possible is critical to pinpointing the causes of mental health issues. To enhance signal quality, gels or other solutions must be placed on the electrodes to reduce undesired impedances. With a lot of data to filter and process, a high-end processing platform is required. Meanwhile, a trained clinician must properly place the electrodes, apply gel and set up the machine. Once the EEG session begins, the patient is asked to lie still and to limit facial tension and eye blinking. A session can last for 30 minutes or more. In short, a medical EEG ecosystem is fraught with high costs (equipment, professional time) and inconvenience (messy gels, electrode placement and data-taking time, limited mobility, etc. ), but such are the sacrifices required to meet its objectives. Now that we’ve cleared that up, let’s switch our use case to, say, controlling a toy with your brainwaves. Entertainment objectives for EEG are far less rigorous. Fewer sensors (simpler headset designs), less risk-aversion to signal noise, more focus on costs than performance, etc. As you can see, the use case decision plays a key role in what type of EEG system is required. Beyond the use case influence on the EEG ecosystem, there have also been some important technological advances in the last decade that have opened doors for EEG to transition more easily into the consumer space. Advances in chip technology have allowed small, powerful, yet low-cost boards to be integrated directly into the headgear. Now, who’s up for a game of (EEG) golf?